Voted Best Mexican Restaurant on Maui! 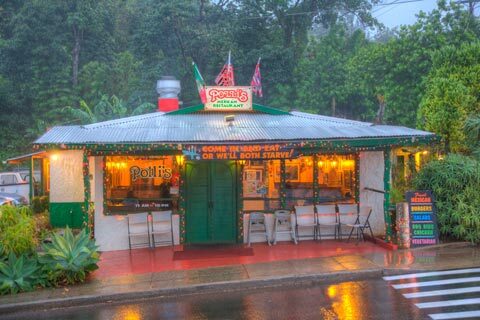 Since 1981, Polli's has been a favorite Makawao restaurant for locals, visitors, bikers, artists, and Maui paniolo (cowboys). Enjoy huge portions of Mexican classics like burritos, fajitas, and enchiladas, or dig in to some baby back ribs, a mushroom burger, or fish sandwich. Don't eat meat? We have vegetarian options—and our bar is famously known for serving the best margaritas on Maui!